You may be in the process of planning your wedding and ticking things of the list. Sometimes, having a wedding videographer isn’t at the top of most couple’s ‘must haves’ list. Wedding videos can be a luxury. 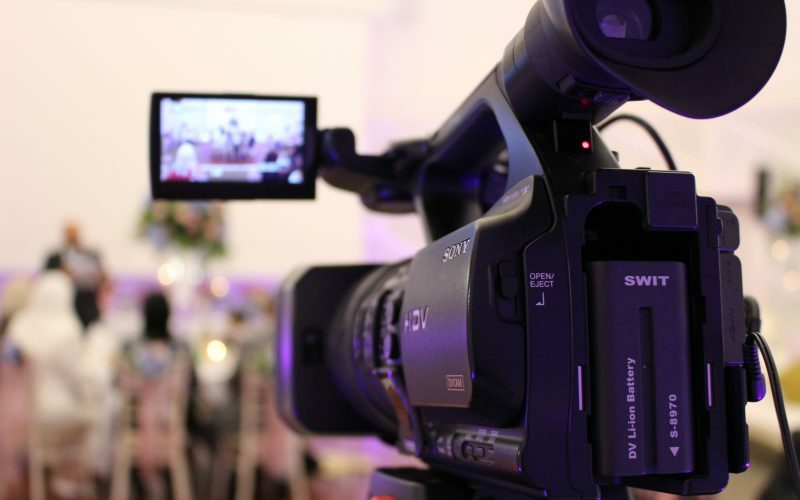 If you have a wedding photographer, you may think that you don’t need a wedding videographer. However, having a wedding video means that you can hear as well as see all the special moments. You can listen to your vows and speeches all over again. Guests can also leave you video messages if you like. The atmosphere of the day is really captured on video. It’s easy for me to say how important it is to have your wedding filmed, as I love filming weddings. I entrusted someone else to film my wedding on a cruise ship and we love watching it back. Our family love watching it too. Due to some of our family members being too old to travel to the wedding, they were able to watch it on the DVD, which was amazing. Instead of me trying to tell you how great wedding videos are, see what other couples have said after I filmed their wedding. It’s so nice to hear that I was able to capture all the moments that the couple would have missed. That’s the beauty of having a wedding videographer and a photographer. Sometimes, they can be in different places at once. For example, I can start filming the arrivals whilst the photographer captures the bridal prep. This means that the couple can see what happens in two different locations at once. Claire and Jay were married at a hotel in Warrington and wanted their bridal prep until the end of the speeches filmed. This is a really popular package if you’re not too worried about having the first dance filmed. You can find browse through the packages and Prices. Brad and I would just like to thank you for being so amazing on our wedding day- you were so lovely and relaxed and made us feel great- Brad was quite nervous about being videoed- it honestly was me who wanted a videographer- but he has since said how happy he is that I got my own way! It’s so common for the men not to want to have a wedding videographer. I can sympathise that it can make a lot of people feel uncomfortable in front of the camera. That’s why I try to stay out of the way as much as possible. I don’t get in people’s faces with the camera ,especially during the speeches when people are already nervous! I also don’t ask people to do anything like jump in the air or pose for the video. Instead, I follow the lead of the photographer when they are doing the photoshoot and film it alongside them. I also film the natural events of the day such as the guests milling about, dancing and generally having a good time! It’s more of a documentary style so that everyone can relax and not worry about being filmed. This seems to work well so grooms don’t have to worry about being filmed and can relax. It’s very common for newlyweds to say that their wedding day went by so fast. When you’re having a good time, it’s always the way! When you have a wedding videographer, it’s nice to be able to watch the whole thing back again and re-live all the special moments. Again, Carrie and Matt say that they hardly noticed that I was there. So much happens on your wedding day and there’s always another guest that wants to talk to you so I think it’s important for the wedding videographer to blend in, film what’s happening and not take up too much of your time so that you can enjoy your day. I think that the emotion of the day and the atmosphere really come across well on video. You can see the happy tears, hear the laughs and notice all of the subtle cues, looks and smiles. It really is great to be able to capture all of that on camera. You will receive a highlights video that goes online for you to share, as well as on your DVD. You also get the full edit of the day on the DVD, not just a highlights video. This is a big plus for a lot of couples that want to see all of the ceremony with the vows and the speeches again. The wedding packages that I offer are good value for money considering that you get all of this included. You can also opt to have your digital files on USB if you like. I can also transfer your digital files via email so that you can just download them straight to your computer. You can watch the highlights video below so see some of the special moments caught on camera at some of the weddings filmed last year. Previous: Previous post: Why have your event filmed?